If you're installing windows, doors or skylights and you're not using GREAT STUFF Window & Door foam sealant, you're probably unaware of a faster, cheaper air-sealing solution. In fact, there are some window and door manufacturers that have tested and endorsed GREAT STUFF Window & Door. 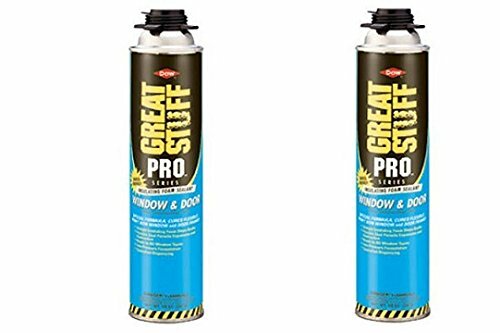 It is a minimal-expanding foam with a low pressure build that forms a durable, airtight and water-resistant seal between a window or door frame and its rough opening without bowing or bending the window frames. It's the original window and door draft stopper.